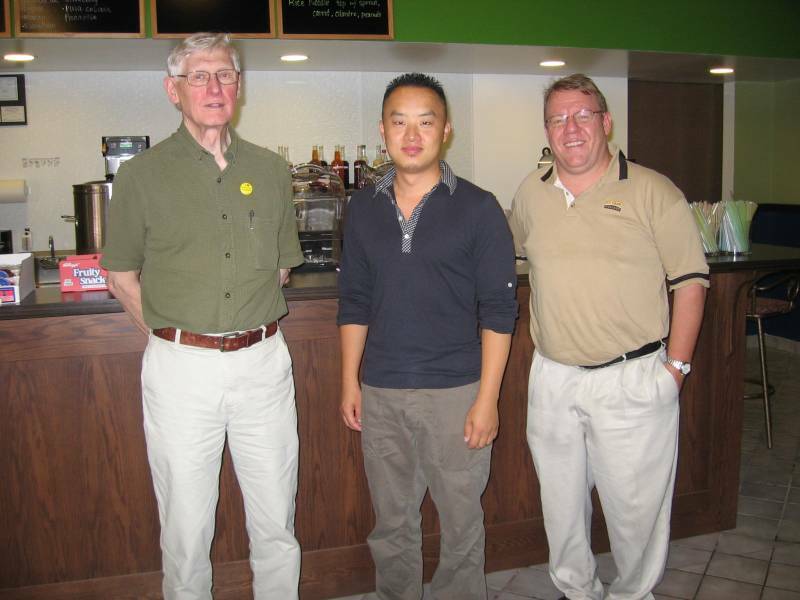 Members of the NDDC Board visited with Daniel Xiong at Tea Creations. It was a cool and refreshing break in our morning. Tea Creations just celebrated their one-year anniversary in Northfield. Daniel told us that he and his wife were attracted to Northfield by the historic buildings, the beautiful setting, the people on the street (might I summarize as our vibrant and vital downtown? ), and the presence of the two colleges. Daniel noted that, at least right now, it is the younger end of the market that buys bubble tea. He said that they’ve enjoyed good success reaching out to the two colleges. They would like to have more success with the high school market, particularly during the colleges’ Summer Break. Daniel shared their current marketing strategy: let the younger part of the market know that they’ve got bubble tea and get the older part of the market to try bubble tea. He noted that the mix of natural tea and juices is a very healthy beverage. In fact, if you tell them you heard about Tea Creations from the NDDC, they’ll give you a free sample. In addition to bubble tea, the restaurant offers a variety of Asian-inspired and American-friendly foods. Their spring rolls are particularly popular and received much praise, both in the regional media and through word-of-mouth. When we asked how the NDDC might help them, Daniel replied that they would like to put a few tables and chairs on their sidewalk. I guess we’ll be encouraging the “Downtown Councilors”, Buckheit and Nakasian, to stop in to try some bubble tea.